The album drops on April 29. 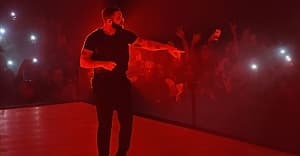 At his Toronto pop-up store on Sunday afternoon, Drake told the crowd that the cover art for his upcoming album, Views From The 6, would be dropping that night. It appears he has delivered, posting the above image on Twitter. You can see Drake sitting on top of Toronto's famed CN Tower. While you take in the image and wait for the album, revisit our #FADER100 cover story with Drake. Update (2/24 9:41 p.m.): A rep for Drake tells The FADER that the cover was shot by Canadian photographer Caitlin Cronenberg and art directed by Nicky Orenstein.